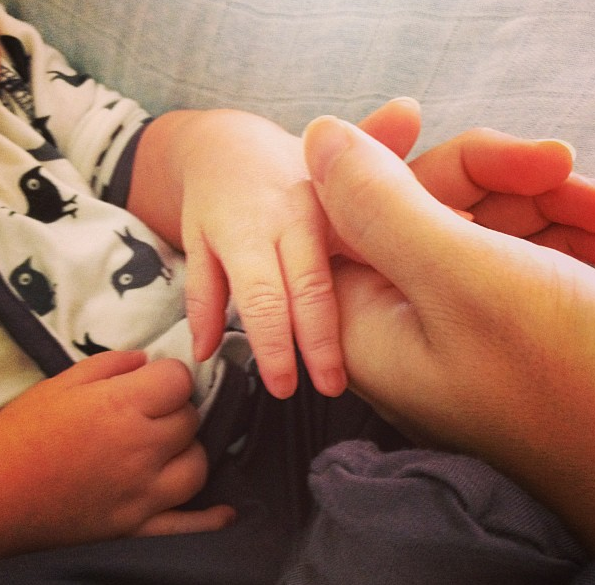 Actress Jamie-Lynn Sigler is a proud new mom! The “Sopranos” actress welcomed her first child, a son named Beau Kyle Dykstra, on Wednesday and recently posted an Instagram photo of her holding hands with her little one. The day after baby Beau arrived, Sigler, who’s engaged to his father Cutter Dykstra, posted a message of gratitude and love on Twitter.